Uh, hmm. So I had all of these great plans for the weekend and some of them happened but most of the ones involving books, reading and getting ahead did not. That said, I did . . .
. . . provided lunch for a crew of friends who were helping some friends move into a new (and magical!) house (that I love)! Very happy for their blessing of a new (fabulous) home. I look forward to spending time there.
. . . canned 13 jars of pickles with my husband. (Overkill.) We also tackled 25 lbs. of tomatoes. And we're still married, yes, we are!
. . . had an outrageous attack of allergies - which I have never had before. So right now I'm holing up indoors, medicated, and trying to remember not to open any doors to the outside. 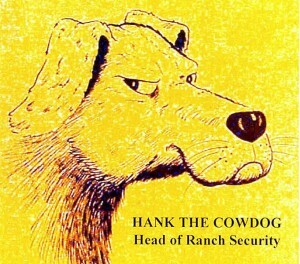 Please tell me you've read Hank. If not, please tell me that you will give it very serious consideration! I read this one several months back with the Bookworms, but just never got around to posting about it. Until now. Over at 5 Minutes for Books. By the way and for the record, Bookworm2 just walked up to the computer and saw this picture of Hank. His response? "Oh, he's a funny, funny dog!" A ringing endorsement! I can't say I'm a big fan of Where's Waldo because some of the illustrations are inappropriate for young kids, in my opinion. (I refer to the scantily clad females I've seen in some pictures.) 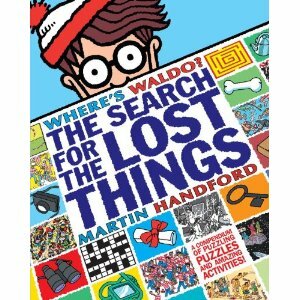 However, I didn't see anything that bothered me in this new puzzle book which features Waldo and his friends. I've set aside my review copy of this book to give to Bookworm1 when he's ready for it. "Shall we dance?" Rodgers and Hammerstein are so much fun to play. Good to hear that at least you got your date. Wow, that's a lot of pickles! About 13 jars too many for our family--ha. So sorry to hear about the allergies. I never used to have them, either, but they've grown increasingly worse the last few years. I can tell you about a couple things I've found some relief with if you're interested. 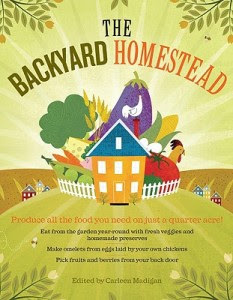 That homestead book is very intriguing--will have to see if our library has it. I had not heard of Hank when my guys were younger, so we missed him completely. I could eat that many pickles by myself. Hooray for date nights! And I sympathize with your not reading all that you had set out to read. I've never tried canning pickles, the ones my husband's grandfather gave us that were overdosed in garlic turned me off to that... I'll take mine store bought! However, we do can lots of other things and amazingly enough we have some of the best conversations while canning. Even if we do notoriously end up finishing at 3am!